Connect Smartsheet to your other favorite apps. 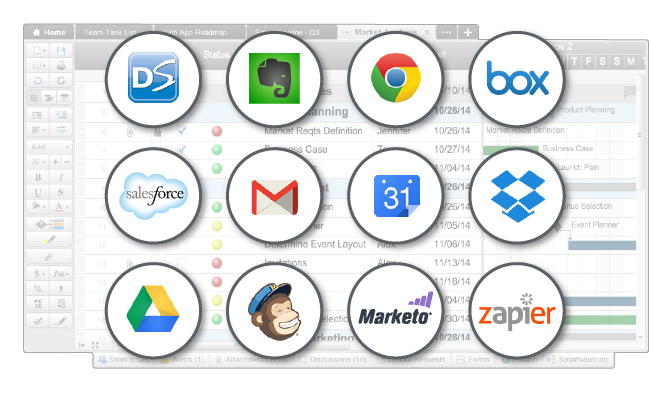 Smartsheet works with some of the most popular apps you already use. From Google Apps and Dropbox to DocuSign and Marketo, using the API, you can integrate your work in Smartsheet with the other leading cloud tools in your team’s arsenal. Connected web apps for your connected business.